The deal sees Accenture deploy Oracle software as part of the Department’s payments system overhaul. The Department of Defence has awarded Accenture an $8.38 million contract for the provision of software support activities as part of its payment system overhaul. The contract period, according to tender documents, is from 21 March to 31 August, with Accenture set to deploy Oracle software as part of the Department’s payments system overhaul. “Over recent years, Defence has made a significant investment to modernise its ageing military pay system,” a spokesperson for the Department of Defence told ARN. “Accenture has been contracted to design and build the new military payroll using Oracle’s PeopleSoft software, as used for Defence’s civilian employees. Within Defence, this human resource system is known as the Personnel Management Key Solution – PMKeyS. 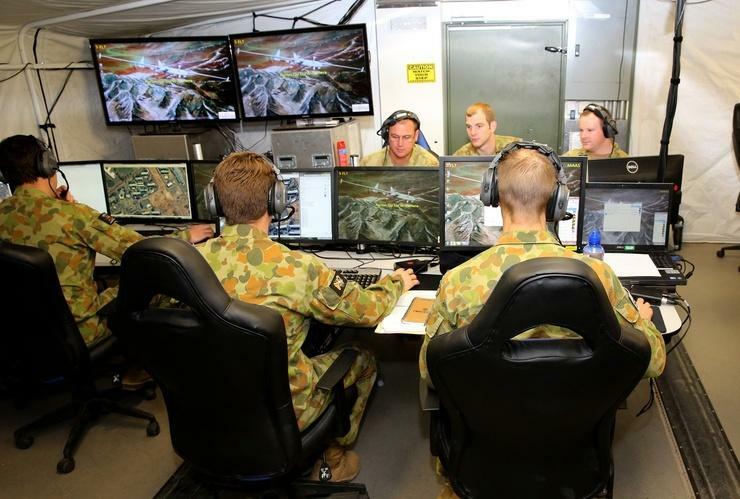 “Accenture continues to assist Defence as we approach the finalisation of the new system. The $8.4 million contract enables Defence to modify the new system to meet important policy and legislative changes, including the changes associated with Australian Defence Force Super,” the spokesperson said. According to the Department, the work associated with the new contract with Accenture relates to the code design, development, and testing support, to incorporate these final legislative changes prior to the new system’s implementation. The panel arrangement from which the Department procured Accenture’s services for the project also includes BAE Systems, CSC Australia (now DXC Technology), Hewlett-Packard (now Hewlett Packard Enterprise) and IBM Australia. It is currently expected that the new system will be operational before the end of 2017. The win comes just weeks after the Department of Defence awarded a $6.65 million project support services contract Dimension Data Australia for its help in the delivery of its IT projects. The infrastructure project services support services contract was awarded to Dimension Data for the provision of resources to deliver project management services, according to the Department of Defence. “These project management services are to support the Chief Information Officer Group in managing the design and delivery of extant ICT projects for the various groups and services within the Defence Information Environment,” A Defence spokesperson said at the time. The Department also recently dished out a massive multi-year print contract worth almost $80 million to Konica Minolta Australia. The arrangement sees Konica Minolta provides equipment and support services enabling the procurement of, either outright or through a lease, network printers, Multi-Functional Devices (MFDs) and scanners, together with maintenance, support and consumables, excluding paper. The contract wins come as the Department’s Chief Information Officer Group (CIOG), which leads the integrated design, delivery and sustained operation of Defence’s Single Information Environment (SIE), heads up a long-term technology transformation. The multi-year IT strategy is aimed at taking Defence’s IT operation from an infrastructure-centric approach to IT, to an information-centric approach. Does the NBN underpin mobile service provider growth?